THE third annual Nelson Food & Drink Festival is only a few months away and local businesses are keen to capitalise on last year’s success. Boasting over 30 stalls and 9,000 visitors, last year’s festival was a resounding success. There was a vast array of food and drink stands and celebrity chef Richard Fox performing a wonderful cooking demonstration for the crowds. This year is gearing up to be even bigger and better with the race to host a stand at the festival becoming increasingly more competitive as each year comes by. The event, to be held on Saturday, September 16, will be funded by Pendle Borough Council and Nelson Town Council, with Gold and Silver sponsorship coming from Pendle Rise Shopping Centre and Oddie’s Bakery respectively. 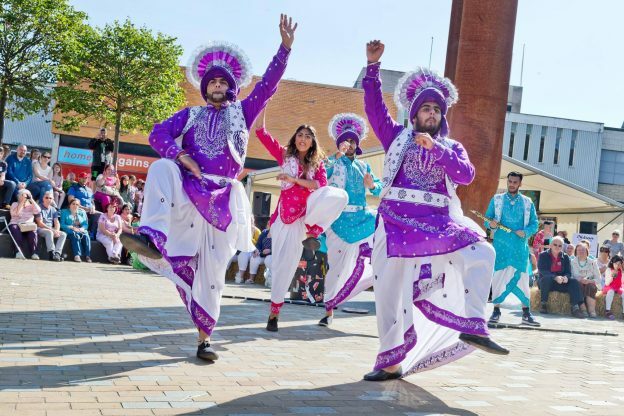 Zafar Ali, Chairman of Nelson Town Council, said: “Me and my colleagues are thrilled to see the Food and Drink Festival coming to Nelson again. Last year’s event was so popular I had residents, young and old, asking whether we could put the event on every month. You only had to look at the queues at the stalls to see how many food and drink enthusiasts there are in Nelson and East Lancashire – it was amazing. Nelson Food & Drink Festival takes place in Nelson town centre from 10:00 am to 4:00 pm on Saturday, September 16. Find full details, including a downloadable brochure with the festival itinerary, at www.nelsonfoodfestival.co.uk. Keep up to date with news about food stalls and attractions on the Nelson Food Festival Facebook page and follow @nelsonfoodfest on Twitter. Missed last year’s event? Watch a short video of the 2016 Nelson Food & Drink Festival to whet your appetite for this year’s event. This entry was posted in food festival, Pendle Council on June 28, 2017 by admin.